FREE GIVEAWAY OF HOLLOW’S PRISM NO. 3 ALLIANCE! It’s that time again! FREE COMIC BOOK GIVEAWAY TIME! Hollow’s Prism no. 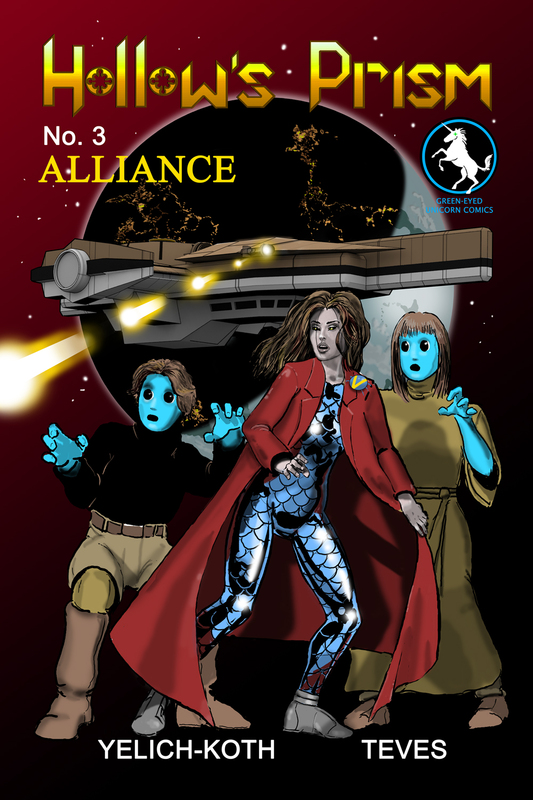 3 ALLIANCE in Oct, we are giving away a FREE copy! All you have to do is share this link to our YouTube HOLLOW graphic novel trailer on your webpage/twitter feed (if Twitter, make sure you tag @cyelkoth) and you’ll be entered to win a free copy! Post on both FB AND Twitter and have double the chance to win! But hurry! The contest ends SEPTEMBER 15th, 2014 at MIDNIGHT! Don’t have FB or Twitter? Don’t worry! If you share on your blog/newsletter/etc. *sob* i have none of those social media things going on. still, i’ll buy a copy, i don’t care, gotta have it to complete my set. i love these books, this story, and tinnybots rule!!! you go, girl! « Now you can buy HOLLOW books and merch in one place!